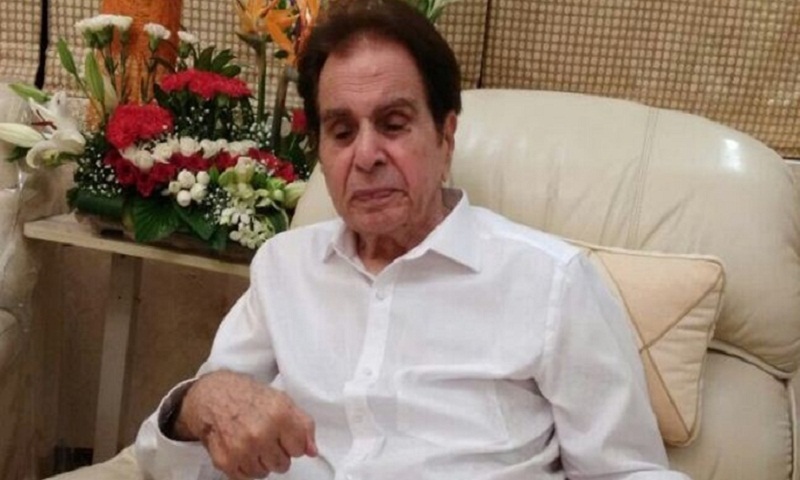 Veteran actor Dilip Kumar, 94 was diagnosed with mild pneumonia but his health parameters are now normal, a family friend said on Tuesday, reports Ians. Earlier this year, in August, the legendary actor was admitted to the Lilavati Hospital in Mumbai due to dehydration and urinary tract infection but later his health condition improved and he was taken back to his residence. He was then visited by Bollywood superstars Shah Rukh Khan and Priyanka Chopra at his residence to inquire about his health. Kamal Haasan too wished the legendary actor a warm welcome back home after a week’s stay at the hospital for kidney-related problems. Also, the wife of the veteran actor Saira Banu who has shared the screen with him in movies like Gopi, Sagina and Bairaag posted happy pictures of the veteran actor from their wedding anniversary celebrations and later from Diwali celebrations. Though in the photos, the Ram Aur Shyam actor seemed under the weather. Dilip Kumar appeared in some of the iconic films of Indian cinema like Kohinoor, Mughal-e-Azam, Shakti, Ram Aur Shyam among others. Last seen on the big screen in “Qila” in 1998, the actor was honoured with the Dadasaheb Phalke Award in 1994 and the Padma Vibhushan in 2015.